The previous six rounds of the RHPK Summer Series have been clear, warm and more importantly dry. On the run up to the 7th round of the championship it was clear that we would have a wet race on our hands! This months 26 Kart grid was again very strong despite a couple of teams unable to make this month due to commitments. 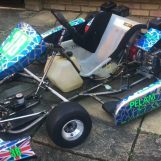 Clubman Regulars Artifex Racing were waiting on their brand new 7 Kart XV chassis, Evolution Racing & Avatar on holiday and Baron set to join us next month. GeForce Racing’s long awaited come back pushed back until October. A brand new team joined us this month, Father and Son team Kiss My Hasse in their new Hasse chassis. 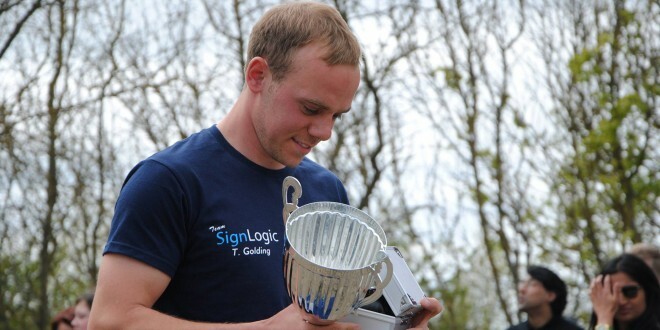 PGS Racing who raced with us back in May for the televised round were back with a new driver Sammy Venables. Sammy is a RyeHouse Senna Cup driver who filled in for the team this month. 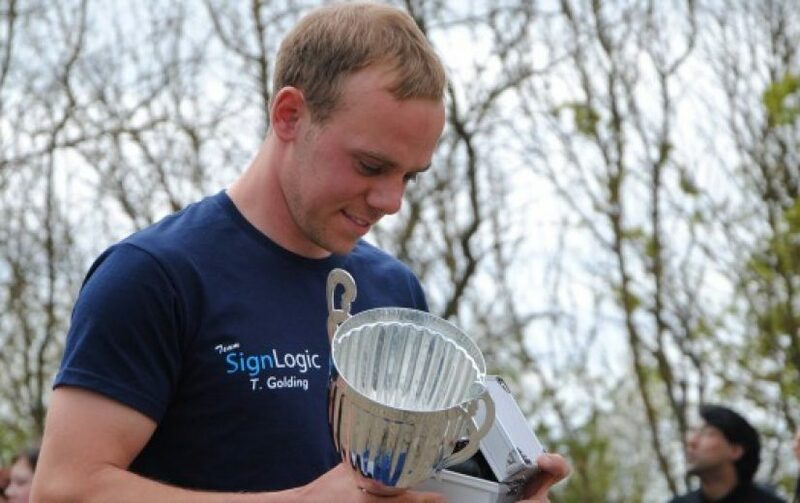 We announced last week that team captain Lee Henderson will be replaced by Tom Golding, read the full article here.. Tom’s won races across all major series and won the Daytona 25 hour cup earlier this year along with a podium at the British 24 hour kart race which should make him a perfect fit for RHPK. Tom Golding heads up Team Karting Magazine, joined by Tom Sibley and Tom Kempynck. 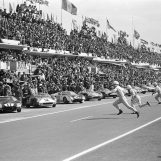 This month we had lined up the MK GT1 prototype to be putting in a couple of laps before the start of the race. However, due to the weather the car had to be cancelled. 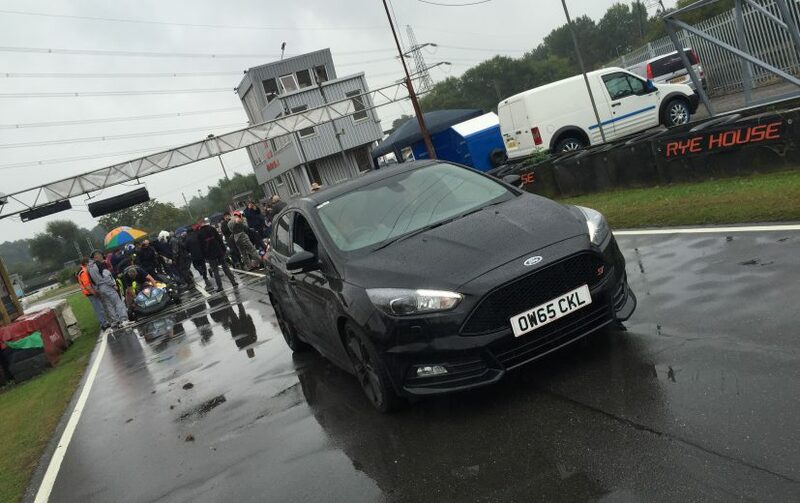 In it’s replacement, Joseph Carl Ettwein’s impressive Mountune Focus ST was on track. We hope to get the MK1 GT1 protoype around Ryehouse soon. With drivers briefing over, the teams flocked to their karts to be on the semi dry track before the rain came down again. With most teams on dry tyres at the start of qualifying – it was the wrong tyre as the rain started to fall. Helicopter Services put just 10 laps in on the wet tyre and were the only team to find themselves in the 48s. ABA Racing followed closely behind with a 49.170, Custom Rods 3rd with a 49.531. The newly formed Team Karting Magazine secured a very impressive 6th place on lap 12 just before the rain came down even harder ensuring late comers to the track would be punished. 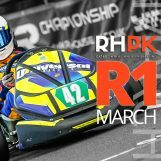 A notable mention to HRS Racing 2 who qualified 15th place on lap 7 on a set of slicks! In Clubman, Team Eyrie Also their second race this season with RHPK, takes pole with a very impressive time of 49.934 on lap 10. 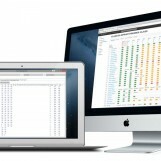 Fantastic work from the new team headed up by Bill Wilson. NMA Racing followed closely behind in 2nd with a early lap 6 of 50.044. Current Clubman championship leaders Amigos had to settle for 3rd with a time of 50.107. A very tough qualifying session which caught a number of teams out. 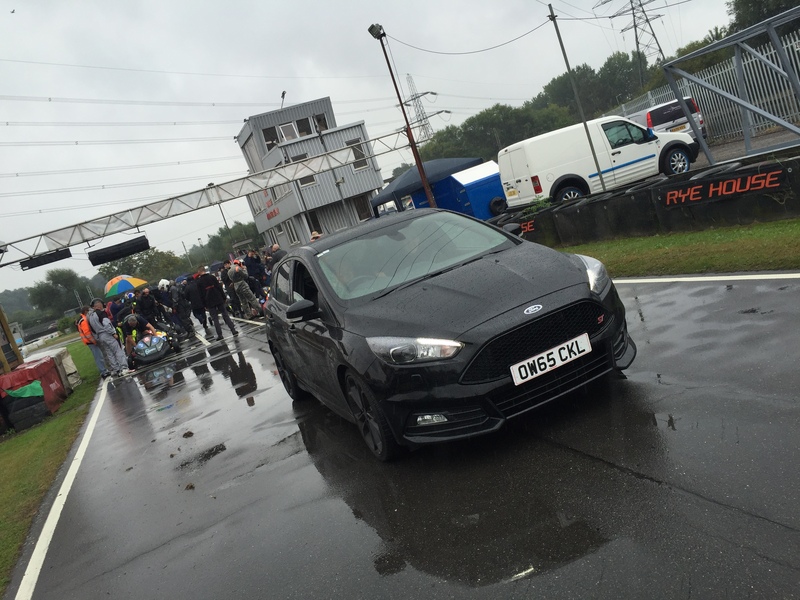 Both JRH Racing & Focus were caught out by the conditions meaning they started 22nd and 24th on the grid. 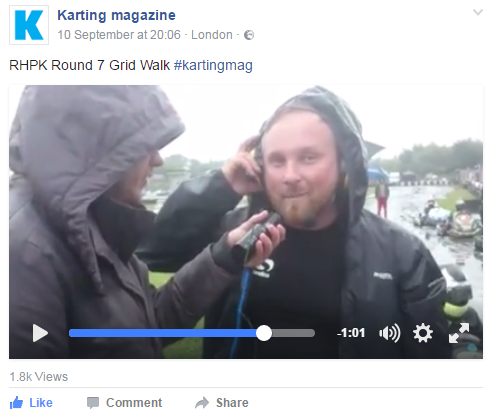 Chris McCarthy’s legendary Grid Walk, Interviewing Greg from Polish Lambo & Various drivers on the grid. The drenched green flag drops 26 karts head into the first corner, amazingly without incident. As the field come round to complete the first lap, it’s the mighty Helicopter Services who lead the pack. Team Wraith take 4 places on lap one to reach 2nd place. Team Eyrie lose out on lap one by dropping 15 places! such a shame after their well deserved pole in Clubman! Team CET have a spin on the opening lap on the second hairpin dropping 8 places and dead last on the position table. Within the next couple of laps PGS Racing are coming up the field after losing two places on the opening lap. By lap 4 they take Team Wraith for 2nd place. On Lap 10 JAB Racing take 3 places for 8th overall and first in class! Fantastic pace for them so early on in the race. On lap 12 HRS Racing 2 are the first team to have issues, Water in the carb meaning a lengthy pit stop assisted by many of our teams, including Matt Dorrington (Racing with ITS 1 Racing this month) Team CET, Lambo & Focus who all assisted into getting the team back into the race. By Lap 80 Amigos had clawed their way to 2nd in class and chasing JAB Racing – just 4 seconds separated them. Mid way through the race the rain stopped and the track started to dry. Tyre management important for all teams as most of the standing water disappeared. Just as the first hairpin developed a dry line and teams were getting their slick tyres ready – the rain was back! Drama for ABA Racing as their rear tyre blows forcing them to pit to change the tyre. Despite the unplanned pit stop the team drive hard to fight their way back through the pack. 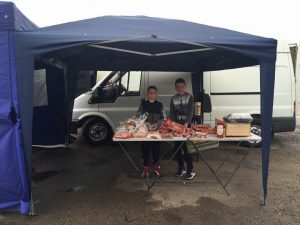 Towards the end of the race Silverline Racing looked on for their best result this season aiming for 4th place in clubman – however they either fell victim to the rain… or ran out of fuel! As the checkered flag drops it’s Helicopter Services who take the win by over 3 laps – a true testament to their driving and kart preparation making them the team to beat this year. PGS Racing take a well deserved 2nd place! 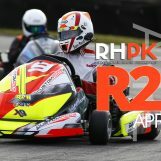 Well done to Sammy Venables in his first race with the team and RHPK! Custom Rods round up the top three just 25 seconds behind. Despite a unscheduled pit stop for a flat tyre in the later part of the race ABA Racing pushed on to an incredible 4th place, much needed points at the later part of the year. Team Karting Magazine went onto finish a very respectable 12th despite a completely new kart and team. In Clubman Amigos take a well deserved win. 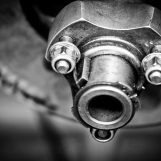 JAB Racing who were leading clubman take second place, a much needed result from the team which firms their second place in the standings this year. Taking home a very very well deserved 3rd place is Team Eyrie Also! Despite the teams troubled couple of rounds since they started, they went onto qualify pole in Clubman and bring the kart home in 3rd. Well done guys!